Hurricane City, Utah is a city with a rich history and a reputation for being the type of community where people want to raise a family. Don’t call it “Her-i-cane” though, because the locals know it correctly as “ Hur-ah-kun" a pronunciation that pays homage to its early settlers and local heritage. Further reveling in the unexpected, Hurricane, which is located in the southwest corner of the state of Utah and is fully landlocked, is not a city at risk of coastal Atlantic hurricane rains and floods. Instead, it earned its name in 1896 when a fierce wind blew the top off a buggy, leaving the driver to exclaim, “Well that was a Hurricane. We’ll name this ‘Hurricane Hill.’” Thus, a unique community was born that still stands today. Today, Hurricane, Utah is enjoying a growing population of citizens and families who love the City’s proximity to National Parks and Monuments, including the North Rim of the Grand Canyon, as well as its local recreation and leisure offerings. From dance to youth sports, to adult leagues to the continually growing popularity of Pickleball, life in Hurricane City means a life where families can stay active, get outside, and enjoy the breathtaking scenery. 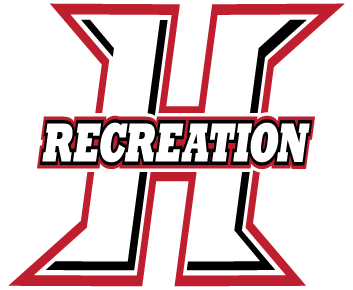 Thanks to Hurricane City’s Recreation and Leisure Department’s migration from a paper-based recreation registration system to the use of the modern, cloud-based CivicRec recreation management solution from CivicPlus®, getting involved in all Hurricane City has to offer has never been easier for its active citizens. Nicole Peterson, a mother of five and resident of Hurricane, remembers the inconvenience of having to travel to the recreation and leisure offer to register her children for activities before the City implemented CivicRec. “My kids have participated in basically every sport available,” said Peterson, “Flag football, soccer, track, basketball, and my three-year-old girl just started gymnastics. Dance will be next." For Peterson, the ability to register her children for upcoming athletic classes and sports leagues from the comfort of her home makes it easier to stay engaged and enable her children to participate in local recreation activities. Hurricane citizen Wil DuCrest appreciates the convenience that CivicRec offers him as an athletic league participant, a parent, a coach, and an umpire. Like Peterson, DuCrest remembers the previous paper-based system and prefers the convenience and ease-of-use of the CivicRec online registration system, especially its league registration and instructor management functionality. “The online tools seems to have made everything easier from an organizational standpoint,” said DuCrest. As a coach and am umpire, DuCrest enjoys further conveniences, including easy access to his player rosters and schedules. Like Peterson, DuCrest has experienced how the convenience of the online CivicRec functionality makes it easier for parents and coaches to get involved in community recreation offerings. To learn how CivicRec can offer your citizens a modern, user-friendly recreation experience. click below to register for a solution demonstration.